Inspired by the success of Viking River Cruises, Viking Ocean Cruises launched its first vessel in 2015 and has been highly successful catering to a niche market of sophisticated adults. Viking is known for its small ship size, its serene ship ambiance and its authentic shore excursions, which are included in the price of the cruise. With just 930 passengers on each Viking Ocean cruise ship, Viking provides an intimate ocean sailing experience unlike any other. Every stateroom has a veranda, so every guest can enjoy private ocean access and every room is a room with a view. Nordic-inspired amenities ensure that every guest finds something to fit their taste on board a Viking Ocean Cruise. Whether sweating in the sauna, cozying up with a book in the library, or enjoying a cup of tea under the sun in the glass-roofed Winter Garden, Viking cruises provide plenty of opportunities for guests to slow down and enjoy the simple pleasures in life. Those seeking to expand their horizons at the ports of call as well as the days at sea may enjoy an on-board educational lecture series, TED talks and classical art and music. Port excursions will also include at least one Destination Performance per trip, where passengers can enjoy authentic cultural performances from the region they are visiting. The award-winning Viking Sea provides an all-inclusive luxury small-ship cruise vacation, sailing to the jewels of the Caribbean, Mexico, Canada and the Mediterranean. Following in the wake of Viking River Cruises, Viking Ocean offers luxurious, small-ship ocean voyages that cater to a niche market of sophisticated adults. Enjoy culture-focused shore excursions, educational onboard activities, and a relaxing, slow-paced onboard environment. 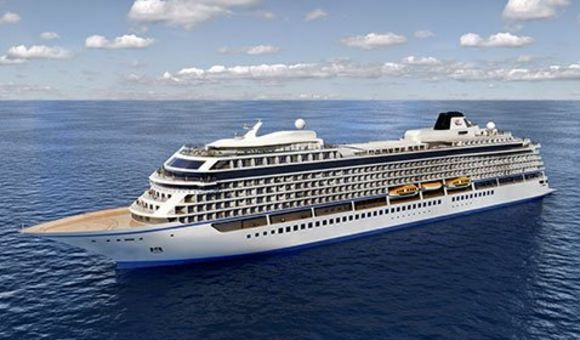 Explore some of North America and Europe's most sought-after destinations with the Viking Star. A luxurious, small-sized ship, she offers unparalleled experiences with destination-intensive itineraries, educational opportunities onboard, and a relaxing atmosphere at sea. The newest member of the Viking Ocean fleet, the Viking Orion is a Scandinavian-inspired, celestial-themed ship that sails unique itineraries all around the world. Experience her immersive onboard planetarium, live stargazing sessions, and a unique fire-and-ice wellness experience on your trip. Sail away to faraway destinations on this truly luxurious cruise ship. The Viking Sun will take you away to exotic ports on a luxury cruise vacation. Modern amenities and a Scandinavian-inspired design make for a relaxing onboard environment, and the staterooms were designed with passengers' comfort in mind. Launching in 2019, the Viking Jupiter is an ultra-modern premium ship that will embark on destination-intensive cruise voyages around the world. With a sleek Scandinavian design, educational itineraries and onboard programs, and high-end dining and entertainment options, she’s sure to appeal to the sophisticated modern traveler.